Are You Worried About Immigration and Your Future in the United States? Become a United States Citizen and Stop Worrying Today! These days you can’t turn on the television without hearing about immigration. The news contains information about a border wall, executive orders restricting travel for immigrants from certain countries, and the customary discussions about immigration reform. You also hear about protests on immigration and attorney’s fighting in court. Immigrants in this country are concerned about their future, and rightfully so. Whether it be current or future executive orders, laws being passed, a total ban on immigration, or the unlikely mass deportation of all immigrants, United States Citizenship may be the perfect option for you. The solution is to become a United States Citizen. You can travel with a US Passport. Now is the time to apply for United States Citizenship and get ultimate protection in the United States. If you are in the United States as a permanent resident, and you qualify, now would be the time to file your application for Naturalization. You must act diligently, and swiftly to obtain protections given to United States Citizens. 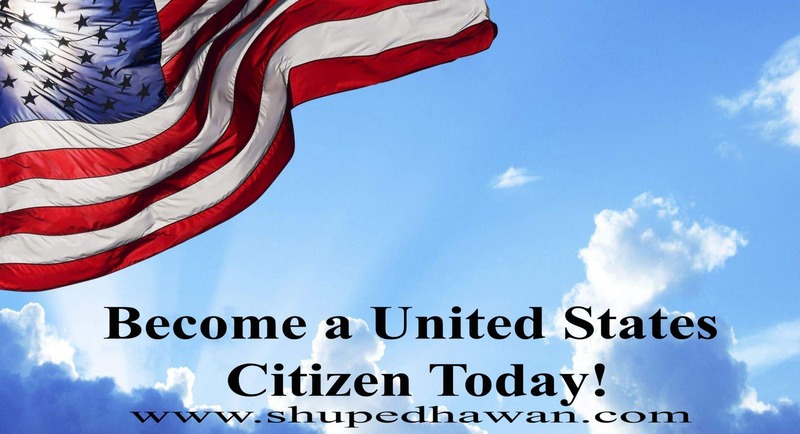 On our website www.shupedhawan.com you can watch our video series on United States citizenship. At Shupe Dhawan we can help you with all your immigration needs from obtaining a visa, a green card, starting a business, and becoming a United States Citizen. Our team of experienced attorneys have over 20 years of experience and take great pride in the quality litigation and transactional representation we deliver. You place your trust in us and we make sure that we go the extra mile to get you the best possible result! Make an appointment for your legal consultation today.